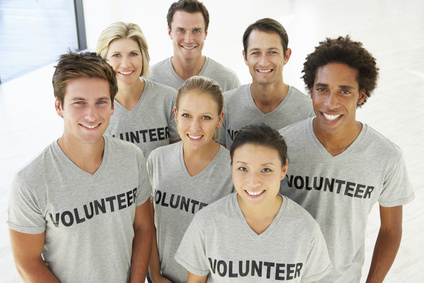 You need to find volunteers to help you with the many tasks associated with a campaign. Start by asking your friends and neighbors to give you time since they are your most likely volunteers. Meet local Republican groups and ask for help from them as well. Ask everyone you meet to help – especially on Election Day. If they can only help a bit, recruit them for the BIG day (you will need about 500 volunteers). As you are out meeting people, if someone offers to help, recruit them immediately. Take their name and contact information and get it in your volunteer database. Your campaign manager should then contact that person within 24 hours if possible. It is important to know what a volunteer likes to do so the campaign manager should interview the volunteer. The list above is in order of the most difficult to do and the most important down to easiest to do. Many more people will offer to stuff mail than the campaign needs so you want to save those tasks for people who won’t (or can’t) do anything else. If someone is willing to walk a precinct or call voters, he/she is worth his/her weight in gold and they should spend their time doing that. Chief Financial Officer: Responsible for the state filings and for tracking the money. It is helpful if this person has an accounting background but anyone who knows how to balance a check book and is very careful could do this job. Requires about 8 hours/month. Yard Sign Coordinator: Responsible for making sure yard signs are put up and replaced when they are taken down. It is helpful but not essential for this volunteer to have some comfort with computers. In most areas (other than urban) it is essential that he can work with tools to put the large signs in and very helpful if he has a van or truck for delivery. Needed by August and requires 10-15 hours/week in the last month. Social Networking Specialist: Responsible for social networking on Facebook and Twitter. Can be done from home. 5-10 hours/week. Website Maintenance: The campaign website should be updated constantly with news articles, pictures from events, response to news items, etc. This is another at-home job that someone with computer skills can do once the site is set up. Most websites can be updated fairly easily so someone can learn how to do it with minimal training. 5 hours/week. IT Volunteers: It is helpful to have at least three people who are extremely computer savvy available to support the campaign by phone in emergencies (which are inevitable). If possible find volunteers to set up the computers as well. In the Duffy campaign, two of the volunteers had keys to the space so they could fix things after hours. Huge help. Hours variable but minimal. Web Calendar Coordinator: This is a great job for a good organizer who needs to work from home. Responsible for finding people in each town/area to post events on the web calendar. The volunteer needs to have Internet access and like working with computers since he/she will be the go-to person to keep the web calendar up to date. Requires 2-5 hours/week throughout the campaign. It is much better to have a big coffee than several small ones. Sometimes, the “coffees” can be held at a VFW or similar setting to handle a larger crowd. Coffees can be hosted at any time (morning through evening) and any beverages can be served. Some campaigns prefer to have “Wine and Cheese” parties. The key is to have lots of people invite everyone they know to generate momentum and to get the candidate in front of people in a fun way. Volunteer Coordinator: Need a great people person for this job. He/she calls volunteers and begs them to come in. Would also send the thank you notes and help with volunteer appreciation. Requires 10 hours/week. Parade Coordinator: Responsible for getting people to march in parades and coordinating the effort. Must be organized since each parade has lots of information: where to meet, where to end up, who is going etc. and each of the participants must be kept in the loop. Also responsible for finding out which towns have parades, what time, where, etc. plus filling out the application forms. Summer job requires 5 hours/week and can be done from home. Intern Leader: If possible, find a few high school/college students who will take on the role of recruiting interns. It is always easier for young people to find other young people. Need go-getters in this job who can be creative about where and how to find interns (Facebook, schools, ads, posters, etc.). Full time in the summer. 20-30 hours total prior to summer. This entry was posted in Training and tagged local political election, political campaign, volunteer positions. Bookmark the permalink.